Not only is Brickell considered to be the hub of Miami and South Florida’s financial district, it is considered to be one of the most elite and chic areas in which to live for those who are embedded in the world of finance. 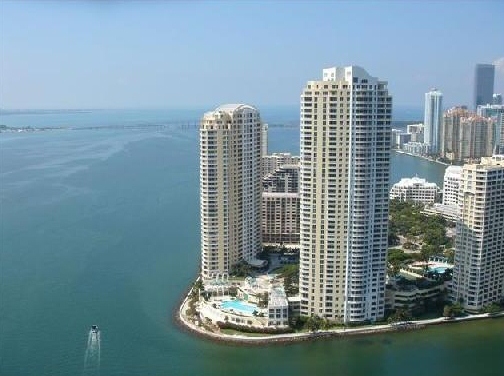 As one of the largest financial districts in the country, Brickell is one of the fastest growing neighborhoods. Many of the condominiums offer upscale living for those who expect the best and want to be close to work or in the middle of the Miami excitement. For those who want the ultimate in luxurious surroundings, there are exquisite penthouse residences scattered throughout the neighborhood. Following are the five most expensive penthouses listed for sale in Brickell. 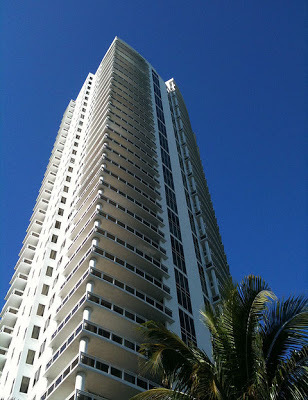 Three Tequesta Point is the newest addition to the Tequesta Point community on Brickell Key. Connected to Brickell Avenue via a scenic causeway, this condominium offers some of the most unbelievable views of everything including Biscayne Bay, Downtown Miami, Miami Beach, and the Atlantic Ocean. This is the tallest of the three high-rise buildings and offers only high-line community amenities including concierge, valet, covered parking, tennis courts, pool, a two-level state of the art fitness center and spa as well as racquetball and squash, 24-gated security, social room and BBQ area. This is a beautiful condominium in an even more beautiful location. This is the most expensive penthouse residence on the market in Brickell. Designed on two levels, this home features a private roof top terrace with 360-degree views. Other accommodations in this recently renovated home include four bedrooms and three and a half baths; the ultimate gourmet kitchen with a sleek modern design; a master custom-built walnut walk-in closet that gives Oprah Winfrey’s closet a run for its money; floor to ceiling windows that showcase the beauty of South Florida and so much more. As one of the most spectacular penthouses in Brickell, this two-level home features a 50-foot glass entry with white, glass floors; full water views from every room; a huge kitchen with top of the line appliances and a lustrous design; surround sound and a central media system; built-ins in every room; a bonus room; and parking for three or four vehicles. This penthouse is for the most discerning buyer who expects absolutely nothing but the finest appointments. This penthouse is truly Miami in all its crowning glory. Located in the heart of Brickell, the Four Seasons is the epitome of luxury living. The residences are located from the 40th to the 66th floors. All of the residences feature the most amazing views of the Miami skyline, Biscayne Bay, Brickell Key, and all the way out to the Atlantic Ocean. Homeowners in the Four Seasons have a separate and private entrance and elevators; a residents-only pool and lounge; and, a membership at the Sports Club/LA Miami not to mention access to all of the amenities of the hotel guests. Located on the top floor of the tallest building in Miami, this penthouse residence features the most exquisite views from floor to ceiling windows in every room; Italian marble and custom hardwood floors; Smart home technology; a modern, gourmet kitchen that highlights stainless steel appliances and high line counter tops and cabinetry; high ceilings; and more. The second of the Tequesta Point trio, Two Tequesta Point offers the same tranquility as her counterparts. Set apart from downtown Miami by a causeway, this urban oasis features luxury amenities like a large heated pool with private cabanas surrounded by tropical landscaping and pergolas; a state of the art fitness center with whirlpool spas, squash, tennis and racquetball courts; separate high speed elevators; a private club house and billiards; security; valet parking; concierge; and, 24-hour security. This gated community offers its owners and guests the ability to be close to all that Brickell has to offer while providing the security and privacy that discerning homeowners expect. Enjoy the most amazing views of Miami and the waters from the wrap around terraces that surround this beautiful home. With high ceilings, marble floors, a more opulent design in the main areas; a large gourmet kitchen with granite counter tops; and more make this a wonderful place to call home. 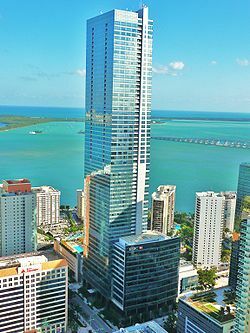 As one of the tallest buildings on Brickell Key, Carbonell is a residential condominium filled with luxury residences for those who want to live in the midst of Miami excitement but have the ability to retreat to a tropical oasis. Community amenities include 24-hour security and patrol; full concierge services; valet parking, a two-level fitness center with state of the art equipment as well as racquetball and squash courts; resort-style outdoor infinity-edged pool that sits along the bay front; a large party room with prep kitchen for entertaining and more. 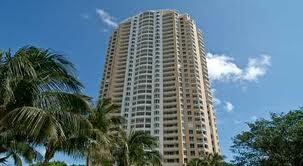 Carbonell is definitely one of the most exclusive Brickell addresses. This 3,400+ square foot penthouse features double height ceilings, three bedrooms and three baths, a rooftop terrace with 360-degree views of the city and water, a huge galley-style kitchen with stainless steel appliances and custom cabinetry; four storage units; four parking spaces; a wonderful master bedroom suite with custom closets; and, more. This classic designed penthouse is absolutely one of the best in Brickell. Brickell is one of the fast growing neighborhoods in the country and a place where residents have the opportunity live in the middle of all the excitement. It brings a whole new attitude to life in Miami by combining the hustle and bustle of metropolitan living with a tropical twist. The penthouses in Brickell simply add to the dynamic of living here. Those who live in Brickell love it here and stay here.